Home » PROFESSIONAL AND AFFORDABLE POLICE EQUIPMENT » RADIO CLIPS FOR BELTS, JACKETS AND MORE! RADIO CLIPS FOR BELTS, JACKETS AND MORE! A selection of docking clips for your Airwave radio to hold it secure in position. Prices from only £4.99. 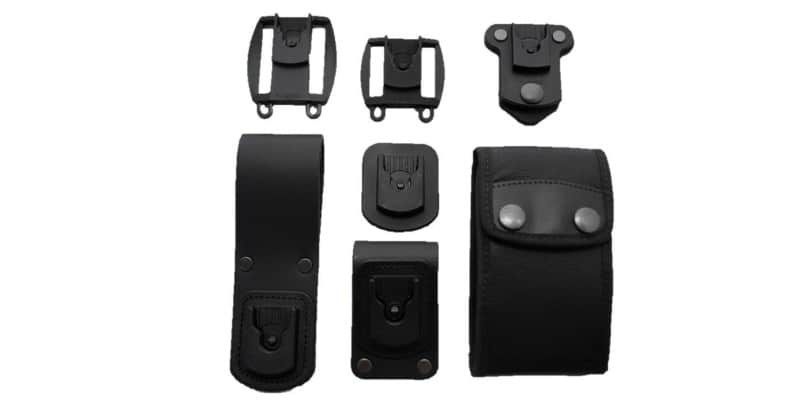 Check out this selection of Different styles of Radio Docking Clips for your Belt and Jacket. There are seven different types, so be sure to get the right size! Prices start at £4.99 for the belt docking clip. These are ideal if you need extra clips to place your radio easily onto your belt or jacket. It can be a hassle to keep moving your docking clips from your belt to jacket and vise versa – So invest in a few extra clips and keep your radio secure for when you need it most!